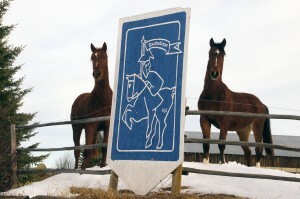 Winter welcome to Touchstone Farm. Photo courtesy Vanessa Latford. Touchstone Farm, founded over 40 years ago, has grown to be known internationally for its world-class horses and friendly atmosphere. We are grateful to have had generous support from family and friends, horse and nature lovers, from around the globe. 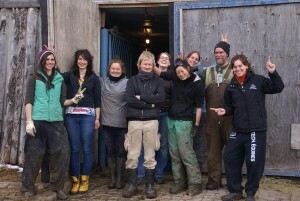 Our staff is frequently a lively mix of international volunteers, many hailing from Europe, Latin America, Asia and of course Canada. 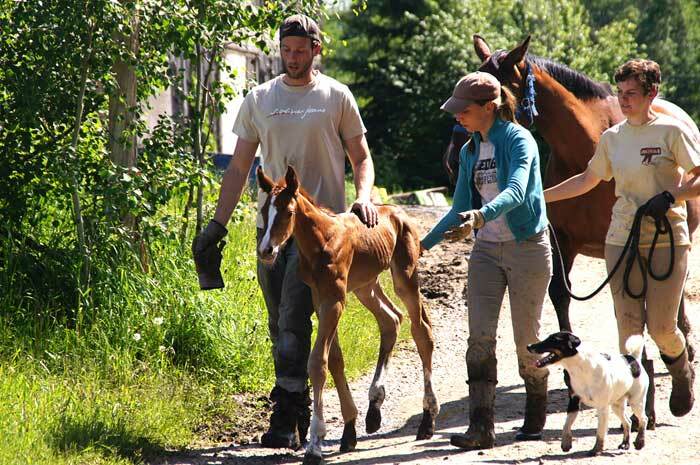 Bejamin, Stephanie and Audrey with newborn foal. Photo courtesy Vanessa Latford. We would love to keep in touch with you so please join us on Facebook.